Welcome to Suzi's Kooma Tarot page. 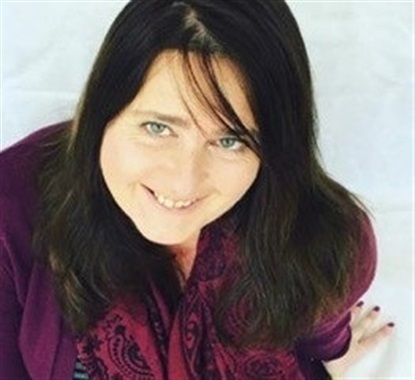 Hi I am Suzi, I am an international TV psychic, intuitive tarot card reader, intuitive life and business coach and Reiki Master. Wherever you are in your life right now I will help guide you forward giving you clarity and insight into any event, situation or relationship. I will give clear guidance into any area of your life, including love life, business and career. My guides will step forward and give you the answers you need to make decisions, choices or give you the clarity you need. I am also an empath, so I will pick up on any fear, worry, blockages or anxiety. During your reading with me I will also give you tools and resources that you can put into place to help you let go go anything that is holding you back. I will also share success tools with you to transform any situation, relationship event or your whole life!. After your reading you will feel inspired, empowered and motivated to take action, make changes and focus on what is important to you. I am an empath so I will pick up on how you are feeling. I read both tarot and angel cards. I am clairvoyant, psychic and intuitive. I can help you with crystals, development and healing. As well as giving you the guidance, insight and clarity you need I can coach you through any situation. I will give a caring and thoughtful reading that will give you the answers you are looking for. I will take the time to explain what I see and answer any questions you have. I was aware that someone was with me, so I had a reading done and was also looking into healing. Both these things came up in my readings, so I joined some classes in psychic development and trained as a Reiki master and angel therapist. I also took tarot classes to increase my skills. I am constantly increasing my knowledge and taking other courses. When I first joined my psychic development classes we uses oracle cards every week to find out certain information and to receive messages and I was instantly drawn to them. then I did a tarot course and started reading for friends and family and how I would like to give more readings. I am a Reiki master, Angel therapist, Intuitive tarot card reader, life and business coach, crystal therapist. I have been running my own Reiki practice for 8 years. I teach Tarot and Reiki both online and in person. It was during a psychic development class. We did some past life regression which were amazing. Kooma are a flexible company to work for. Suzi is a remarkable reader. She was able to shed light on my situation and give me clarity and inspiration. She can also help with finding your Soul purpose!